Increase in the prevalence of various cancer diseases such as prostate, breast, and lung cancers, technological development of the biopsy devices, increase the adoption of integrated biopsy technologies, and lack of screening tests for the specific type of cancer are anticipated to drive the biopsy devices market over the forecast period. 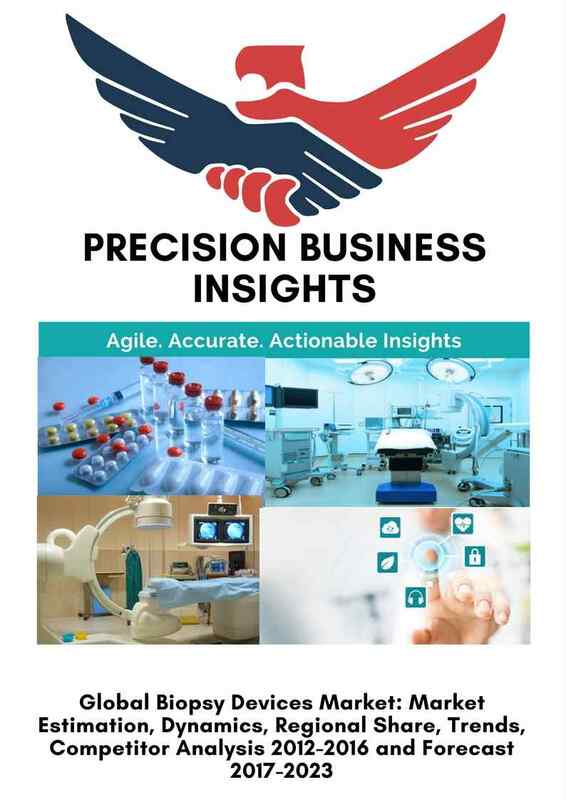 In addition, increase the awareness about the chronic diseases, rise in global geriatric population, increase in the preference for minimally invasive procedures, and growing importance of disease screening for early treatment expected to propel the biopsy devices market. However, a high cost of the biopsy devices, unfavourable reimbursement policies, stringent regulatory guidelines, and lack of skilled technicians might hamper the growth of Biopsy devices market. The biopsy is a minimally invasive surgical process performed to remove the tissue from the body for the determination of presence or extent of diseases such as cancer and inflammatory conditions. Generally, the biopsy is carried by radiologists, surgeons, and interventional cardiologists to confirm the presence of disease. A biopsy can be carried for the majority of organs in the body with the aid of specific biopsy devices. The various types of biopsy devices include skin biopsy, shave biopsy, fine needle aspiration, excision and incision biopsy, and vacuum-assisted biopsy among others. Conventional biopsy devices are complimented with the advanced imaging technologies like stereotactic-guided biopsy, CT scan, MRI-guided, ultrasound-guided biopsy, and others. These devices are helping to perform the biopsies in critical areas such as liver, kidney, and lungs. Global Biopsy devices market is segmented on the basis of device type, application, imaging technologies, and end user. Biopsy devices market is growing at a significant CAGR due to increase in the prevalence of cancer around the globe. Technological advancements of biopsy devices and increase in the demand for biopsy devices in disease screening for early treatment propel the biopsy devices market. Acquisitions and mergers, collaborations, product and patent approvals, and product launches are key strategies followed by the players for increasing market revenue growth. For instance, in September 2014, Argon Medical Devices, Inc. acquired Promex Technologies, LLC for diversification of business segment into the soft-tissue biopsy devices. Similarly, in September 2015, MDxHealth acquired the NovioGendix for developing its product portfolio in the prostate cancer diagnosis. Furthermore, in January 2015, Intact Medical Corp. has received the FDA approval for its minimally invasive breast biopsy devices. Geographically, Biopsy devices market is segmented into Europe, North America, Asia Pacific, Latin America, and the Middle East and Africa. The growth of North America in biopsy devices market is attributed to increase in R&D activities, technological advancements of biopsy devices, increase in the prevalence of cancer disease (As per National Cancer Institute, in 2016, about 1,685, 210 new cancer cases were diagnosed in the U.S. and approximately 595,690 people will die from cancer), and availability of skilled professionals expected to fuel the biopsy devices market in the region. Europe holds a major share owing to increase in the prevalence of cancer (As per WHO Europe statistics, in 2012, more than 3.7 Mn new cases and 1.9 Mn deaths occur each year due to cancer), rise in the healthcare expenditure, increase in the R&D activities, and rise in adoption of minimally invasive procedures are anticipated to drive the biopsy devices market in Europe region. 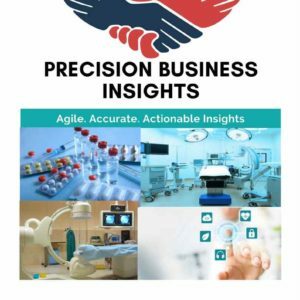 Asia Pacific region is expected to exhibit significant growth over the forecast period due to increase in the geriatric population especially in Japan, China, and India, increase in the prevalence of various types of cancers, and rise in the medical tourism in Asia Pacific region might propel the biopsy devices market. 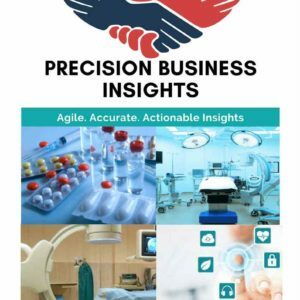 Some of the players in Biopsy devices market are Becton, Dickinson and Company (U.S.), Argon Medical Devices (U.S.), Cardinal Health, Inc. (U.S.), Boston Scientific Corporation (U.S.), Medtronic plc (Ireland), B. Braun Melsungen AG (Germany), Olympus Corporation (Japan), Hologic, Inc. (U.S.), SmartTarget Ltd. (U.K.), MDxHealth (Belgium), and Intact Medical Corporation (U.S.) to name a few. In September 2016, SmartTarget Ltd launched its CE marked biopsy device used in the diagnosis of prostate cancer in U.K.